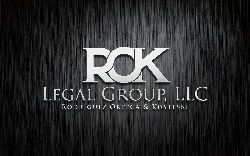 The ROK Legal Group is dedicated to providing you superior legal services. Our goal, through our broad range of legal practice, is to navigate resolutions for your legal matters. With thirty years of combined legal experience, our attorneys have the experience to assist you through your difficult time, from start to finish, and with the respect, attentiveness, and diligence that you and your case deserve. Please contact our office for more information on how we can help you.